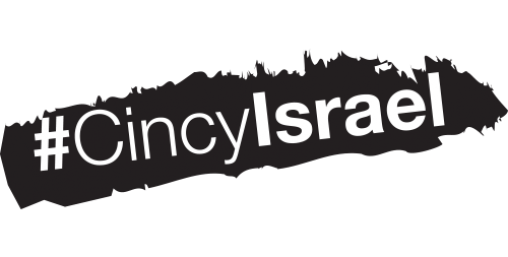 Our Israeli emissaries (shlichim) work to create and strengthen relationships between Cincinnati and Israel. They educate both the Jewish and non-Jewish communities about Israel and also advocate for Israel’s right to exist. They engage with our local agencies, congregations, day schools, camps, and the Mayerson JCC to create programs and activities that connect us with Israel. 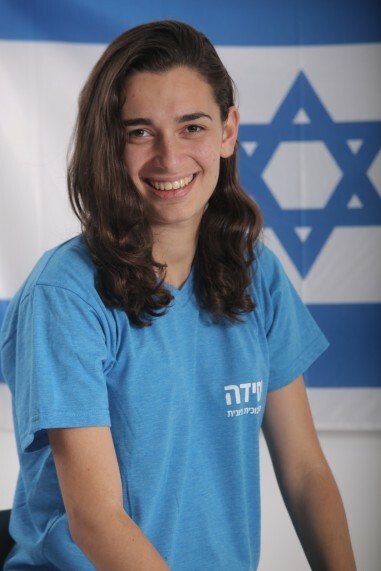 Noga Maliniak (a former Cincinnati shlicha) is now our community's representative in Israel. 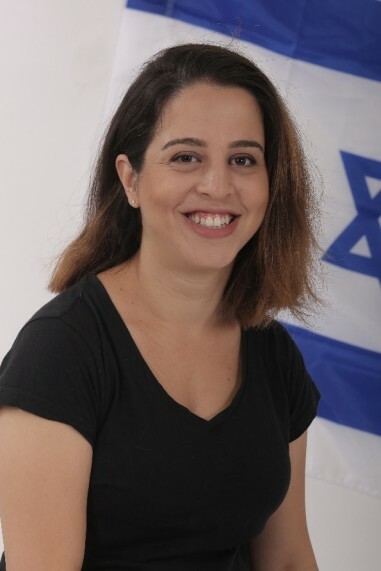 With Noga’s deep understanding of Israel's social, cultural, and religious landscape and her extensive knowledge of our community, she plays a critical role in connecting the Cincinnati community with Israel through special delegations, funding opportunities, and by expanding business-to-business connections. Each September we welcome two new Friends from Israel, who live in our community for a full year of service. The Friends from Israel / Chaverim M’Israel program, brings two post-high school teenagers from our partnership city, Netanya, to Cincinnati to share themselves, and what they know about Israeli life, with people across the Cincinnati area. Each year, the two chaverim meet about 5,000 kids, teens, and families. They teach in both Jewish and non-Jewish schools and organizations across Greater Cincinnati. In the summer, they are counselors at Camp Livingston. 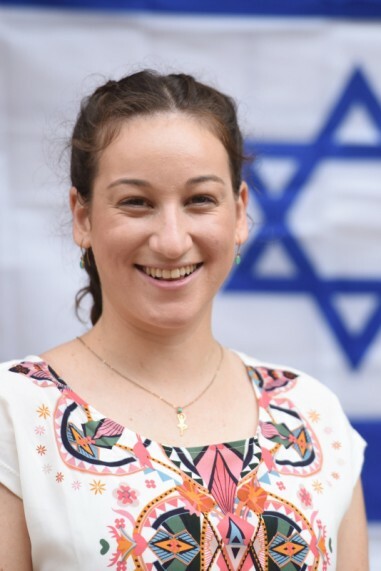 Director of Youth Israel Experiences Sharon Spiegel says, “Thanks to the Chaverim M’Israel, each of the people they meet have a better understanding of Israel.” This program is a component of the Jewish Agency for Israel’s Partnership2Gether (P2G) program. Contact Sharon Spiegel at sspiegel@jfedcin.org or 513-985-1536 to schedule a visit from the Chaverim. Adi is 18 years old and from Netanya. She likes to dive, read, and hang out with her friends. She is interested in history, politics, physics, movies, and video editing. She has two siblings, Ori (15) and Michal (7). Her majors in school were physics and Arabic. She’s not sure yet where she will serve in the IDF, but she’s looking forward to a meaningful service. For now, she hopes to bring her Israel to Cincinnati, and by doing that, learn as well. Asaf grew up in Tel Mond. In school, he studied geo-globalisation and theatre. He has studied at the Agency Association for Holocaust Survivors in New York City and has volunteered with a boarding school for troubled children. He is very close to his family, which includes his parents, his twin brother Dan, who is also a ShinShin, and his older sister. Asaf is looking forward to giving himself to the army next year and is eager to both teach and learn from the Cincinnati community this year. 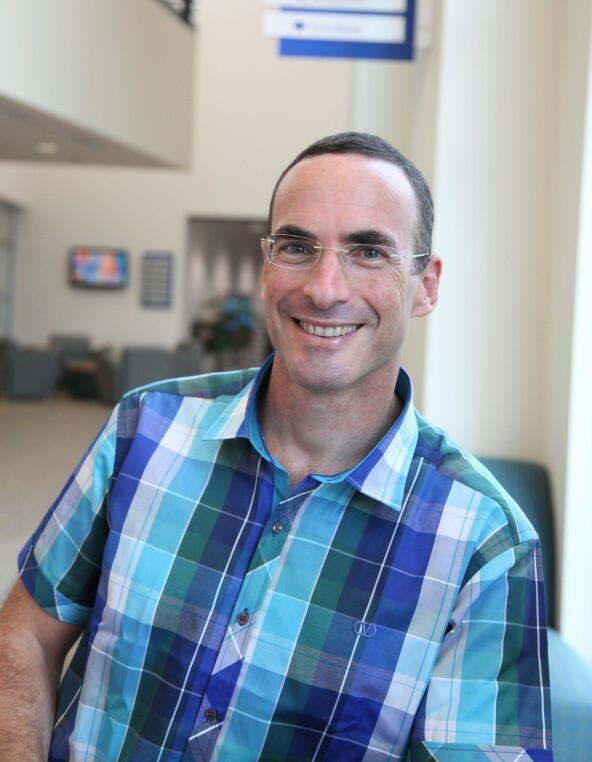 The Cincinnati Fellow in Israel (Cincy Fellow) spends a year in Netanya, Israel teaching Israelis about life, culture, and Judaism in the United States. While many cities, including Cincinnati, welcome emissaries from Israel to the United States, the Cincy Fellow program is the first of its kind, where an American Federation has done the reverse. The Cincy Fellow is a Partnership2Gether (P2G) program of the Jewish Federation of Cincinnati. 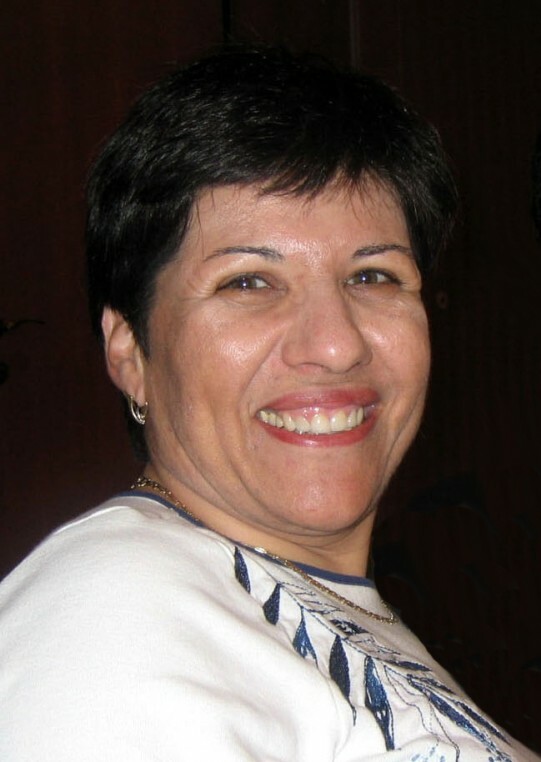 Shelly studied Music Therapy at the University of the Pacific in LA and is a board certified music therapist. She moved to Cincinnati shortly afterward to take a position as a service learning coordinator at Melodic Connections in Silverton, an organization that helps people with disabilities and youth who have experienced trauma through music. While she has lived in several different cities (large and small) across the country, Shelly says Cincinnati is unlike any other Jewish community. This program is a partnership between the Jewish Agency for Israel and Hillel International. It places outstanding young Israelis on key college campuses for a two-year period of educational service, in order to create an ongoing Israel presence for Jewish students and the broader community. Campus Israel Fellows partner with student organizations, campus study abroad offices, Jewish and Israel studies departments, local Jewish federations, Israeli consulates, and Jewish Community Centers. They also follow through with Taglit-Birthright trip alumni via one-on-one meetings and special programs and events to keep them active and encourage them to continue their Jewish journeys while in college. Campus Israel Fellows serve as Israel's unofficial peer ambassadors on campus and in the local community, providing opportunities for students to discuss and experience every aspect of Israeli life, bridging the gap between Israel fact and fiction, and inspiring students to forge enduring commitments to Israel. In many instances, the Campus Israel Fellow is the first Israeli college students and professors have ever met! The Jewish Federation of Cincinnati allocates 30 percent of dollars raised to support Jews overseas. Of that allocation, 75 percent goes to benefit programs of the Jewish Agency for Israel, including the Israel Fellows to Hillel Program. Originally from Bney Yehuda, a small settlement in the Golan Heights, Weissblueth is currently the Israel fellow at Cincinnati Hillel. She plans Israeli educational and cultural programs for the university students. She also assists students who participate in Israel experiences such as Birthright, internships or study abroad programs in Israel. Weissblueth has a BS in Marine Biotechnology from Ruppin Academy Center and teaches gymnastics to kids of all ages. Weissblueth can be reached at weissblueth@hillelcincinnati.org. Lior is currently the Israel fellow for Hillel at Miami University, coming from a town called Shlomi in northern Israel. 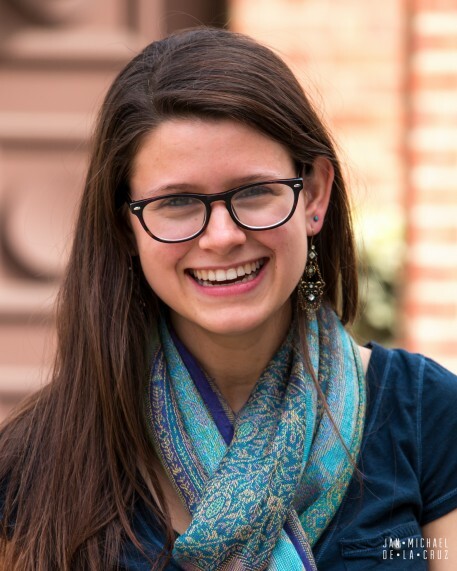 Her role is to help the entire campus as well as the Oxford community become more familiar with the land, culture, and people of Israel. While working with Jewish and non-Jewish students, she helps them create and execute different cultural and educational programs on campus. Lior has an MA in Political Science from Hebrew University in Jerusalem. Lior can be reached at liorb@muhillel.org.